We’ve been a busy bunch of late, hard at work on the release of two exclusive bridal hair pieces for BHLDN’s Fall 2016 launch. And, they’re finally live and we’re over the moon! These new exclusive designs are available only through BHLDN and we’re truly honoured to have had the opportunity to work with the girls at BHLDN a second time. 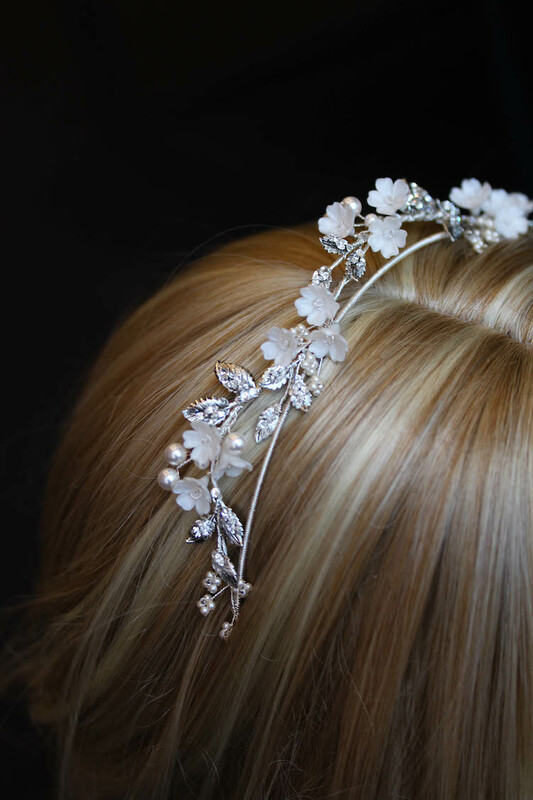 The Margarita halo and the Laurette bridal hair pieces follow on from the early May releases of the Rosina hair comb and Ethereal bridal headpiece which we announced on our blog in May. The Margarita halo, available exclusively through BHLDN, is a modern interpretation of the classic daisy chain. It features delicate Swarovski crystal details, handcrafted clay flowers and gilded golden leaves for a touch of whimsy. It attaches to ribbon ties but they can be removed and instead, secured to the hair with bobby pins if you’d prefer to pin it into a bridal updo. We love the simple elegance of the Margarita halo and the subtle details that make all the difference. 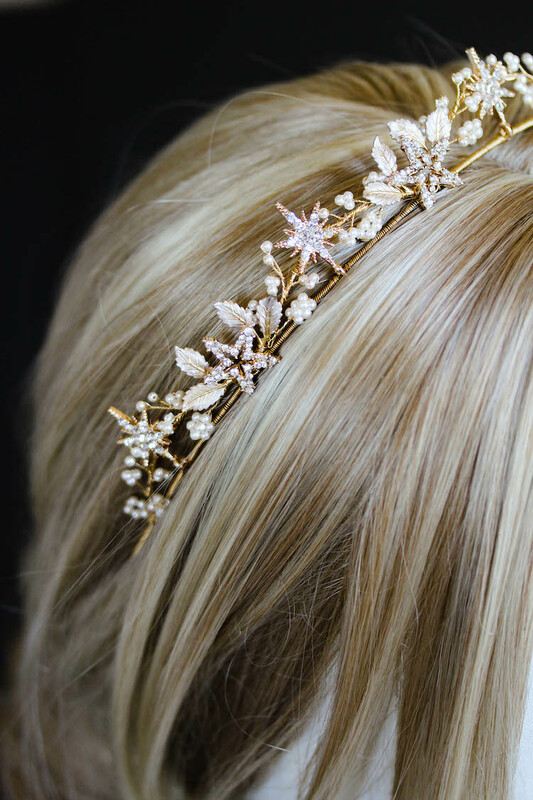 The Laurette bridal hair pieces, also available exclusively through BHLDN, are a set of two hair pieces. They were inspired by all that is wild and whimsical, and everything we love about this upcoming wedding season. We’re all for versatility and flexibility with styling, so the set of two can be clustered together and secured into a loose romantic updo, or separate them and use them to frame a low set chignon.